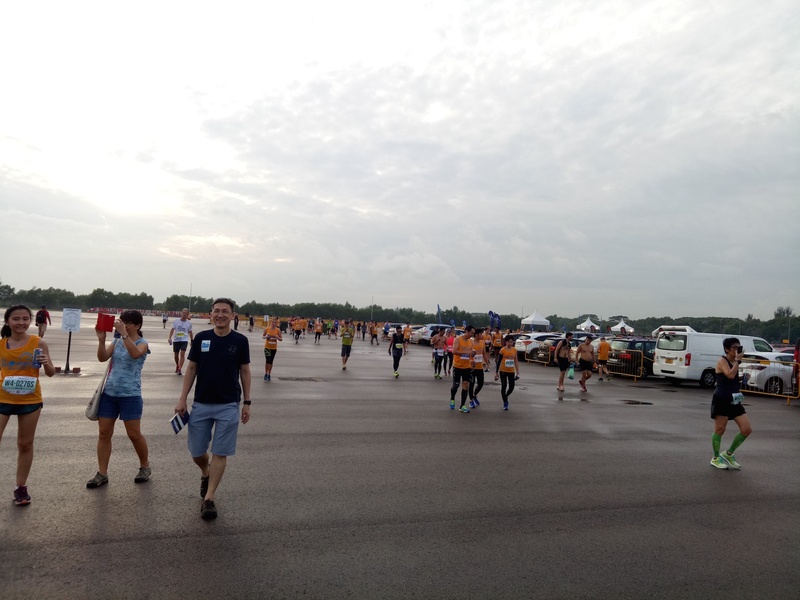 Race 1 was held at Stadium Riverside Walk (I did not go because I was overseas), race 2 was at Punggol East, Corney Island and race 3 at Changi. The drawback for this was that public transport was a problem and so we had to purchase 2 way shuttle bus tickets cost $14.00. I didn’t do well in race 2 due to calves pain and backache (the time of injury). Took me almost 3 hours to complete 21KM. I am happy that I did well in race 3 with a PB (2:23 official nett time). 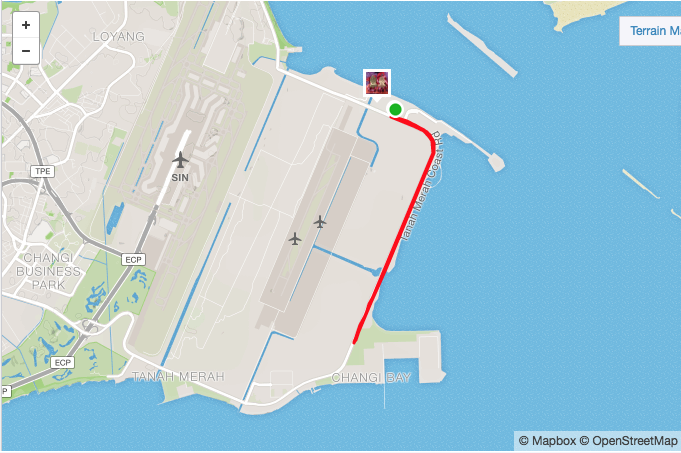 It was the first time I ran a sub 2:30 for half marathon, though the course was about 500m short on Strava. Race route was a straightforward 2 loops and to some people, it was boring. I was OK with it because it was rather flat, simple and easy to run. Not to mention the good weather too. Run route need not be complicated. 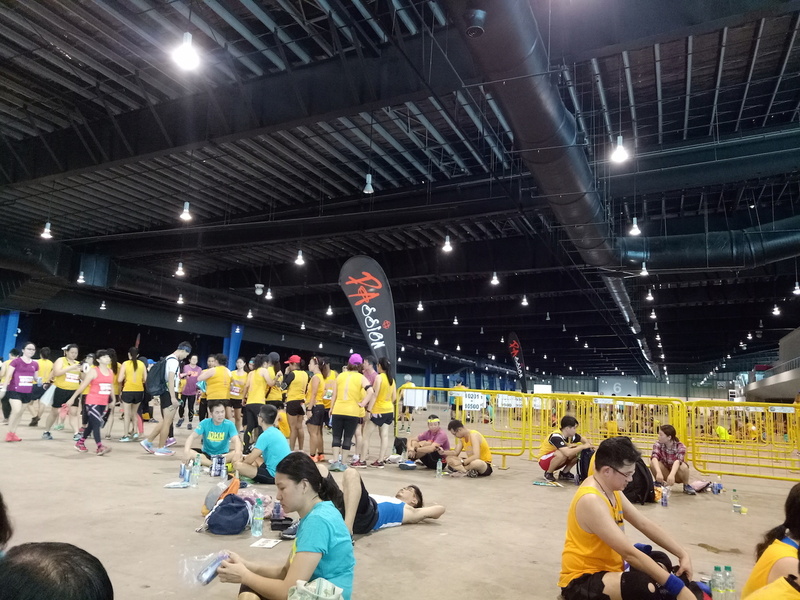 I started the race following the 2:20 pacers for a while but I knew I couldn’t sustain the pace for the entire distance and true enough, slowed down at 7KM but still feeling great and carried on running at about 7 min pace. Hydration stations provide Lucozade and water. I don’t really like Lucozade because it is gassy and too sweet for my liking. So I mixed it with water. Placement for the hydration stations were rather odd because 2 stations were quite close and after these 2 stations, there was no more station for a very long stretch about 6 – 7KM? And I realised there were no toilets too along the route. Nevertheless, I had no major issues. I collected 2 medals, one finisher and one running series. As for the finisher shirt, I feel that the 10KM shirt has a better colour, same thing for race 2. I finished the race feeling very happy with a PB and glad that my PF has recovered about 90%. I hope to run injury free forever. Next race? SCSM Full marathon. Feeling nervous.